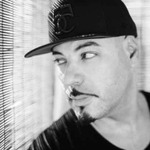 This course follows the creative mind of grammy winning DJ/Producer Roger Sanchez and his workflow from start to finish around his latest single, as 'The S-Man' with “Dangerous Thoughts” on his new label - Under The Radar. Roger will cover everything from setting up the project to building the beat, the arrangement of the song and even adding his own vocals to the record. This course is shot in Roger’s new studio and is the exact process he uses for all his record productions. Like all FaderPro courses, the source files will be provided for you so you can follow along and build this record just like he did, all the way until the finish.